We are honored to be recognized by the Texas Association of Builders as the leading volume homebuilder in Texas. 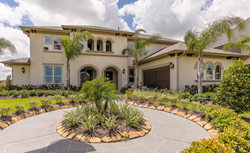 Texas-based homebuilder, Gehan Homes was named Volume Builder of the Year by the Texas Association of Builders, at the annual Star Awards. The Star Awards are given in conjunction with the Sunbelt Builders Show™ to recognize excellence in the homebuilding industry.